The one-stop shop for all of your air conditioning solutions. 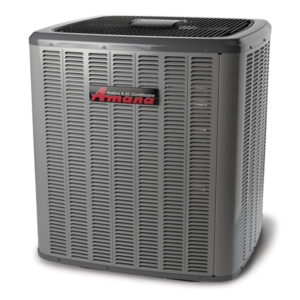 HomePro Heating & Cooling is here to bring comfort into your home with AC service in Avon, IN you can trust. The reliability of your cooling system can really make or break your home comfort. A life without a trustworthy AC would be hard to imagine, especially on those hot summer days where the temperature gets truly unbearable by the minute. That is why you want to find a reliable contractor to help with AC service in Avon, IN and surrounding areas. We do care about bringing comfort into our customer’s homes right off the bat. Which is the reason why all of our technicians are N.A.T.E certified. But it doesn’t stop there. Over the years, our quality workmanship has earned us the Better Business Bureau badge. Which acts as a testament to the quality of service that we provide to each and every customer. Although there are warning signs that your cooling unit will defect, you may think you have all the time in the world. But when your AC goes silent out of the blue, before you know it you are stranded in the heat. Of course, we can’t forget about revamping the performance of your unit with air conditioning tune-up. Our technicians are trained and skilled at their craft. Rest assured, when it comes to home comfort, we have got you covered. You can reach out to our friendly support staff by visiting our Contact Us page.Otherwise, feel free to call us at 317-271-2665. Let our support staff know exactly what you need. They will help you schedule an appointment with a technician at a time that is convenient for you.